In 2013/14 prevalence of back disorders in England was estimated approximately 200000 by HSE which does not include Scotland and Wales. It's true that most of us who are not professional athletes, do sports to keep fit and healthy but then we end up in having more injuries. Most of us think whiplash is associated with road traffic accidents but in reality you can get whiplash injuries also while playing sports. RSI is work related disorder which caused due to mechanical compression and friction of the structures like tendons and nerves due to the overuse. 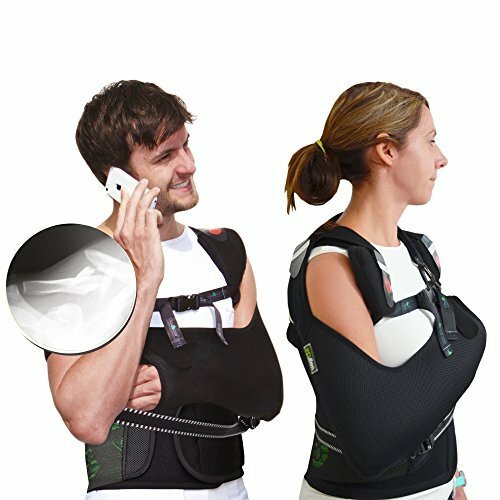 ClaviBrace® offers a pain relieving, safe treatmentfor all severity of broken collarbone (clavicle).